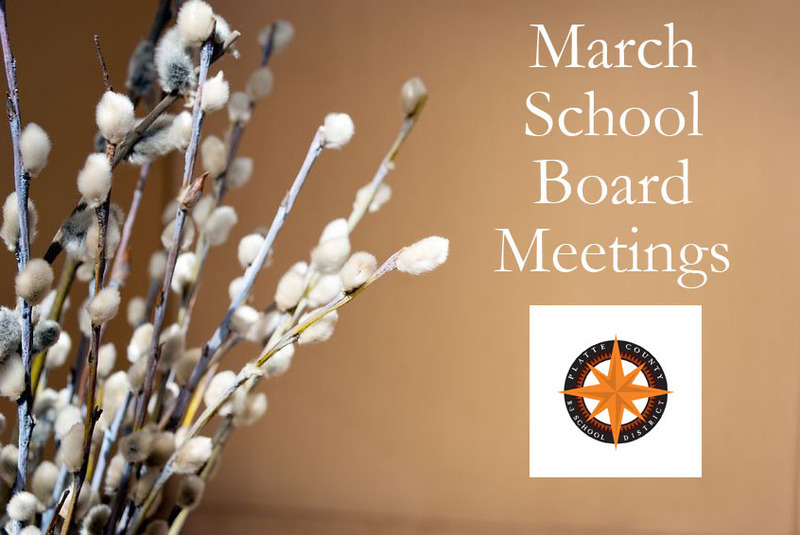 The Platte County R-3 School District’s Board of Education will meet Thursday, March 15, at 6:30 p.m. In addition to routine items on the agenda such as buying band uniforms and new school buses, board members have a full schedule Thursday evening. One significant item on the agenda is a resolution to cooperate with Platte City in extending utilities to the site of a proposed new elementary school. In addition, board members will review a survey of students who graduated last year from Platte County High School. Utility services will be needed if voters in April approve paying higher property taxes to fund construction of a new elementary school. Tomorrow night, board members will lay the groundwork for extending utilities to the building site by passing a resolution pledging to split the costs with Platte City. In exchange for approving an extra 60-cent tax levy, district administrators promise to expand Pathfinder Elementary, improve the high school, enhance district technology and security as well as build a new elementary school to relieve overcrowding. Another part of the plan is to close Rising Star Elementary, which the district contends would be expensive to renovate and is too small to operate efficiently. According to statistics available from the Missouri Department of Elementary and Secondary Education, enrollment in the Platte County R-3 School District has grown by more than 775 students in less than five years. Projected cost of building the new school is at least $15 million. Without the means to pay for construction out of existing revenues, the district’s only option is to raise the tax levy. Another option might be selling school bonds, which is the usual means of paying for capital improvements, but the state of Missouri limits the amount of debt a district can take on. According to information available from the Municipal Securities Rulemaking Board’s Electronic Municipal Access site, Platte County R-3 cannot legally take on enough debt to pay for expanding and building new schools. Also on tomorrow night’s agenda is a survey of the Class of 2011 sharing information about what they are doing now and what they thought of the quality of their education in Platte County. Almost half of last year’s graduates who responded to the survey are attending college, about 20 percent are working full-time and about 35 percent are working part-time. More than 95 percent thought they received a high-quality public school education. About 87 percent thought they had at least an average preparation in math and about 93 percent in English. The board meeting, which is open to the public, will take place in the Education Center Board Room; 998 Platte Falls Road; Platte City, MO 64079.